Having been selling property in the Dublin area for over 20 years, our sales team is headed by James Morrison and his team who have extensive knowledge of the local market, the types of property here and the typical buyers. Our team are licensed in accordance with the PSRA (Property Services Regulatory Authority) and are also members of IPAV (Institute of Professional Auctioneers and Valuers) as well as being members of TEGOVA (The European Group of Valuers Association), and the European Confederation of Estate Agents. We have handled the sale of hundreds of properties over the years, ranging from one bedroom apartments to large family houses. 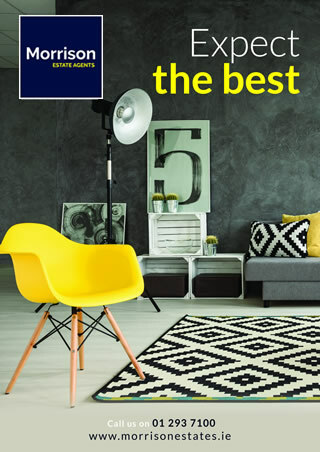 We understand that your requirements as a seller are as individual as the home you are selling, so we’ll create a cost effective marketing campaign specific to your home, designed to achieve you the very best price and a successful sale. Our extensive database of applicants is a key source of buyers and we will also place your property in the best property portals such as Daft.ie and Myhome.ie and all associated websites, and our team will deal with all enquiries efficiently. We often handle “off-market” sales and achieve exceptional prices through this bespoke approach. We will accompany buyers to viewing appointments to best show the features of your property and to promote the local area. We will always feed back viewers' thoughts and comments, as it is important you know how the marketing of your property is going. Once a suitable buyer has been found and an offer accepted, our specialist sales progressors will then work hard to make sure the sale progresses in a timely manner by liaising with the solicitors on either side, surveyors, financial advisors or other professionals involved in the transaction. We provide constant monitoring of progression from acceptance of offer through to exchange of contracts and completion. We have excellent relationships with trusted local solicitors and conveyancers and are always happy to recommend their services. If you’re planning a move or would just like to discuss the market, please contact us. We would be delighted to arrange a free market appraisal of your property. Please download the leaflets below to provide further information. Would you like to download our guide for sellers?